Tim was selected All-Scholastic and All-Catholic tackle and place kicker at St. Joseph's Preparatory School near Philadelphia. He attended Naval Academy Prep School prior to USNA. His dream was to become a naval aviator. Following graduation, Tim was assigned temporary duty at the Naval Air Development Center in Warminster, PA. Tim married his high school sweetheart, Mary Ellen Hewitt, known to their friends as Mime. Tim attended flight school in the winter of 1971. Tim and Mime's house was usually the social center for the Class of 1970 in Pensacola with parties and weekend days spent on Pensacola Beach. Tim went the multi-engine route in flight school. After getting his wings, he was assigned to the Naval Research Laboratory in southwest D.C. flying the S-2 Tracker out of Andrews AFB as a host platform for many technology tests. Tim and Mime lived in Quarters B, a beautiful little mansion on the Potomac River. Tim was then assigned as a flight instructor and standardization officer for VT-2 in Pensacola. Tim received orders to transition to a S-3 squadron in San Diego, California, finally going to achieve his goal of flying jet aircraft off of aircraft carriers. Tim was one of seven children and wanted to see his extended family before leaving for San Diego. On May 15,1976, he was on a cross country training flight from Pensacola to Atlantic City, New Jersey with his favorite Iranian student onboard when he encountered severe weather and clear air turbulence near Fort Gordon, Georgia. The aircraft broke apart and Tim and his student died in the crash. There was a celebration of his life in the Whiting Field Chapel. His ashes were later released into the Gulf of Mexico off Pensacola Beach, the site of many happy times. Tim and Mime had two sons, Timmy and T.J. TJ passed away nineteen months after his father from a very rare genetic disease called Seidelberger's syndrome. 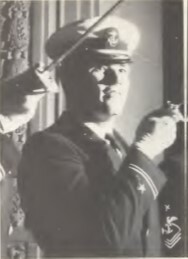 Mime later married William "Biff" Waltman, USNA Class of 1972. They returned to the Philadelphia area where they continue to live to this day. Their daughter, Erin, married Brad Sweet. Son, Timmy, and his wife, Kristin, have produced two beautiful grandsons, Bryce and Blake.